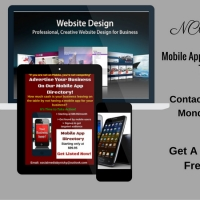 WE design and build mobile app and Mobile Ready Website for all devices. Our priority at NCB Group is ensuring your success. Whether you’re seeking to expand your services, increase your marketing, or enhance your online presence, we’re here to ensure that the process is well-planned and executed. We are experienced in a wide variety of all-in-one marketing, thus ensuring you get the most professional results every time.